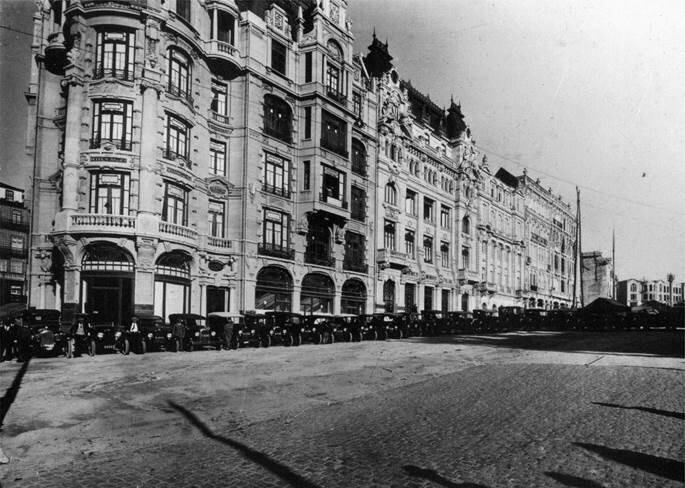 Located where there were once two very busy streets and a network of smaller streets and alleys known as “os lavadouros” [wash houses], the demolition of the Baroque palace on Praça da Liberdade in 1916 – which had housed the Porto City Council for a century – was the first step towards the edification of what would become Avenida dos Aliados, which branches off from Avenida das Nações Aliadas, the avenue named in honour of the first allied victory in the 1st World War (1914-1918). 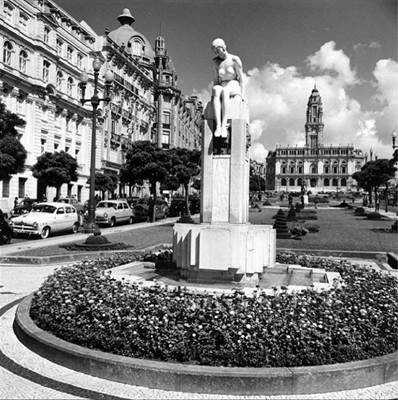 Praça da Liberdade had already been a ‘favourite meeting place for serious politicians and journalists, upper bourgeoisie and Brazilian men’ since the mid-19th century. 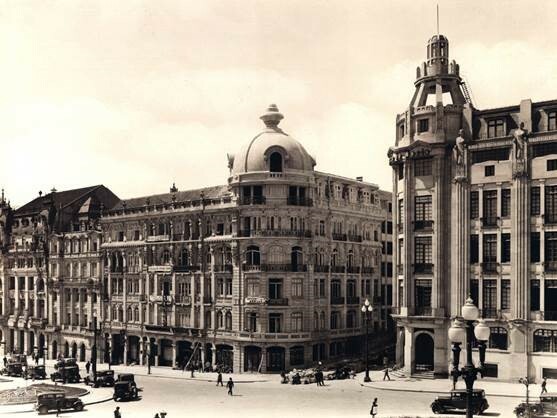 Designed by British architect Barry Parker, Avenida dos Aliados connected this square to Praça da Trindade, and quickly became the city's veritable “drawing room”. 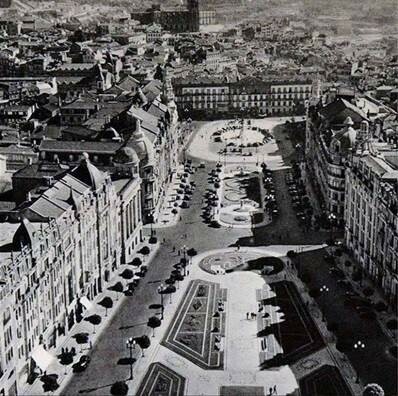 The avenue is lined with stately buildings and Porto’s City Hall takes pride-of-place at the top-end. 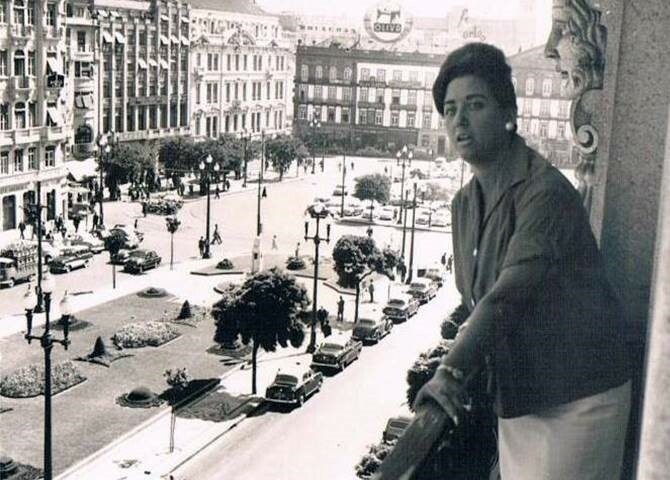 Among the row of harmonious façades, decorated to create a stately and luxurious ambience, is the building that has housed Hotel Aliados since 1932. 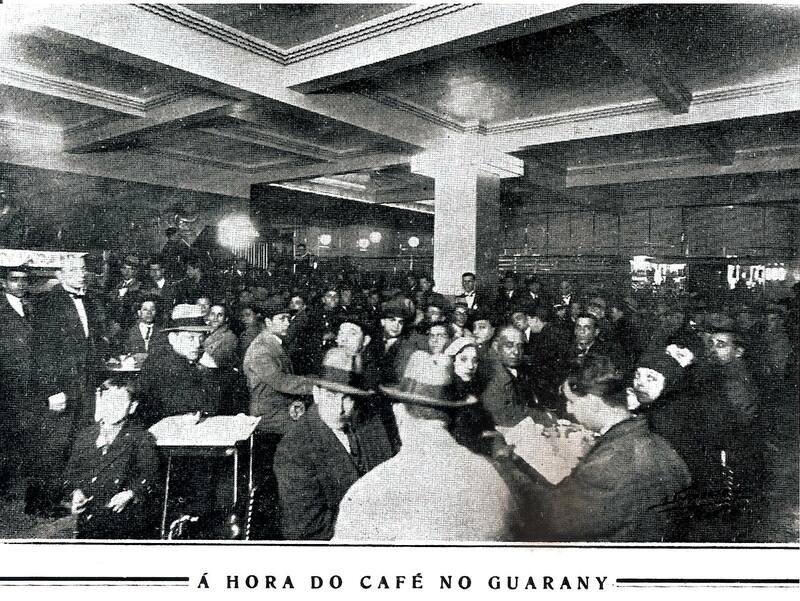 It was in this bustling setting that Fernando Guimarães inaugurated the Aliados Guest House, on 28 May 1932. 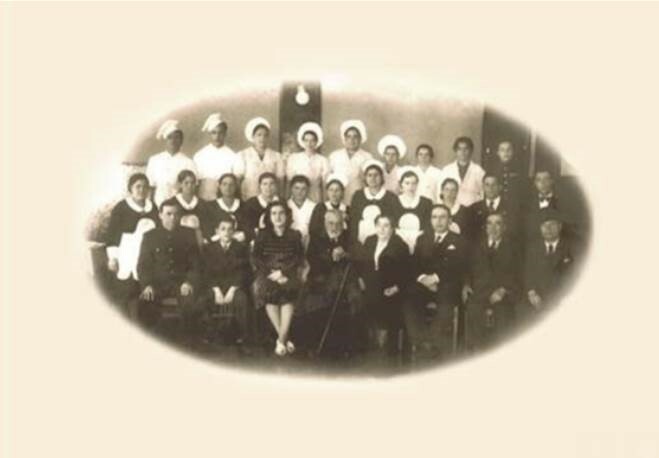 His son, Manuel Guimarães, would later become a renowned name in Portuguese cinema, particularly as a director, known especially for his comedy “Costureirinha da Sé”, but also as an assistant director and cinematographer. His artistic potential would, however, be significantly undermined by censorship and lack of funding. 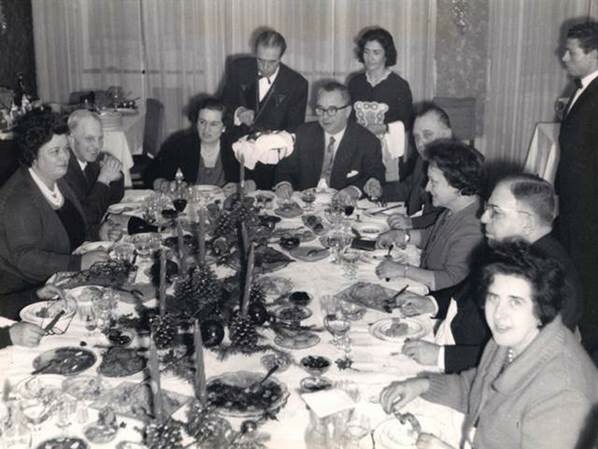 Visited by illustrious people, often linked to culture and the arts, the Aliados Guest House was also home to Manuel Guimarães’ son, Dórdio. 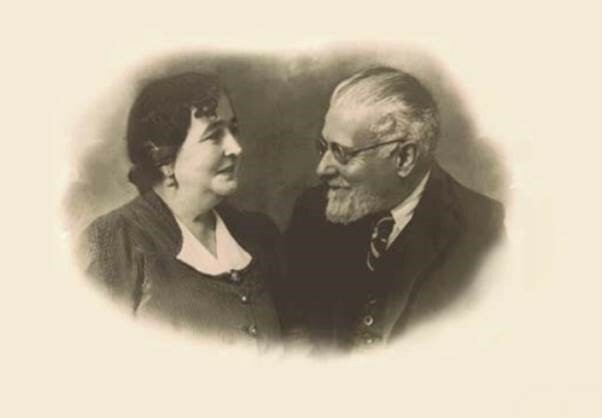 Poet, film-maker, fiction writer and journalist, Dórdio Guimarães committed to a marriage of convenience in 1990 with his collaborator and friend, famous intellectual, poet and social activist Natália Correia, who was 67 at the time. The Guest House was rehabilitated in 2012 and became Hotel Aliados under the new law enacted by the Directorate-General of Tourism. Combining modern amenities with classic charm, today, Hotel Aliados is a prestigious hotel and the only 3-star accommodation located on the Avenue. 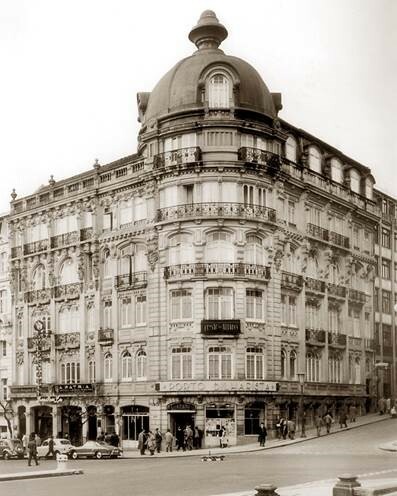 In addition to maintaining its original design, the impressive building still has traces of the history and tradition of one of the most prosperous and vibrant epochs that Porto has ever witnessed. It is well-known abroad for its excellence and comfort, which inevitably make guests want to stay again. 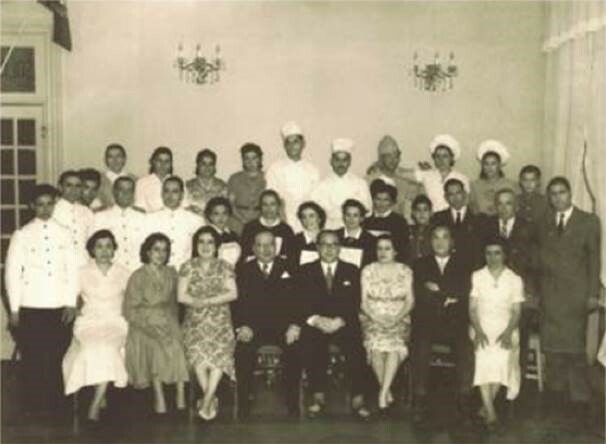 Its heritage is preserved in the friendliness and charisma of the staff who know how to make guests feel welcome.